Professor Doris König, who earned a Master of Comparative Law degree from Miami Law in 1982, was appointed judge of the Federal Constitutional Court of Germany located in Karlsruhe, and prior to that was appointed president of Bucerius Law School in Hamburg, Germany. Professor König holds the Claussen Simon Foundation Chair for International Law at Bucerius. From 2000 until 2012, she held the Chair of Public Law, General Administrative Law, International and European Law. Since 2004, Professor König has been chairwoman of the Hamburg-based International Foundation for Law of the Sea, which holds an annual Summer Academy on the international law of the sea and merchant shipping law. In addition, she has been a member of the advisory board on public international law to Germany's Department of State since 2004 and a chairperson of the German National Academic Foundation since 2007. 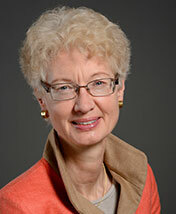 Upon her appointment as President she said, "My goal is to continue the success of Bucerius Law School, while; in the spirit of Gerd Bucerius; being a driving force for innovation and the advancement of legal education," said Professor König, who studied law at the Christian Albrecht University in Kiel. After completing her doctoral thesis in the field of international maritime law, she served as a judge at the District Court of Hamburg from 1989 to 1992. Her main research interests are in the fields of European integration, international maritime and environmental law in relation to international business law, and the international law of human rights. "I met her at a conference put on by Rüdiger Wolfram in Heidelberg in the mid-1990s, where she presented a terrific paper on the conflicts over tropical hardwoods," said Miami Law Professor Richard L. Williamson, who teaches courses in environmental law, alternative dispute resolution and arms control, among other subjects. "Thereafter I met her and her husband on several occasions, mostly in Hamburg, and that link was largely responsible for our being invited to establish an exchange program with Bucerius. She is an excellent scholar and a wonderfully warm and gracious person." Dr. Henning Voscherau, a former First Mayor of Hamburg, said Professor König is an "exceptional" choice for president of Bucerius Law School: "She is an internationally recognized researcher and mastermind in her areas of expertise &emdash; the law of European integration and international maritime and environmental law. She is extremely involved in the university, contributing to its excellence in research and commitment to teaching. As a founding member of the university, she possesses a special understanding and grasp for its interests. This is reflected not in the least in her approval among professors, students and university staff." The Master of Comparative Law degree that Professor König obtained in Miami is the culmination of a program that prepares lawyers educated outside the United States to understand the intricacies of U.S. or Canadian law and jurisprudence. Bucerius Law School is Germany's first private law school with the right to award doctoral and post-doctoral degrees. It was founded in 2000 by the ZEIT-Stiftung Ebelin und Gerd Bucerius, one of the largest privately established foundations in Germany. Bucerius Law School is licensed by the state and accredited by the German Science and Humanities Council. Miami Law has an exchange program with Bucerius Law.